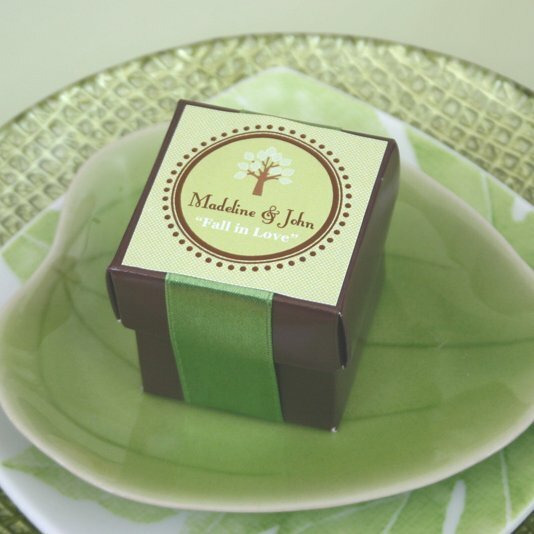 There's nothing "square" about these personalized wedding favor tags and stickers except their shape! Add some fun to your favors by adding a label or hang tag personalized with your choice of theme, color and 2 lines of text (Max 16 characters per line). Select from our classic design (round border with dots) or parlor design (square border with scalloped corners), then choose from symbols of the seasons, destination symbols or a variety of other themes. Labels are available as favor tag (non sticky back) or stickers. Label size: 2" square. Sold in sets of 20.